What’s the cost of cruising on Portugal’s Douro River? In this post, we look at Douro River Cruise Prices by comparing 2018 rates from the major river cruise operators in the region. A wine lover’s dream, Portugal’s Douro River is steeped in history. 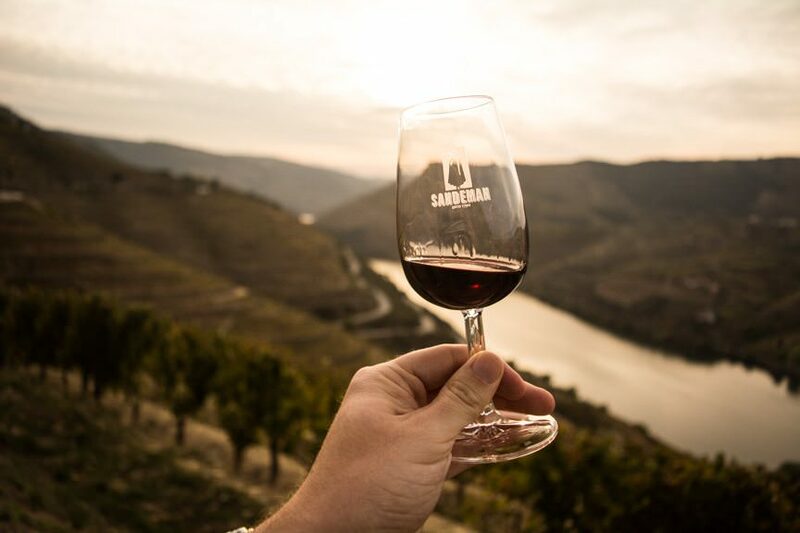 The Douro River Valley is recognized as a UNESCO World Heritage Site for its role in the production of wines and, more specifically, Port Wine. Although the valley has functioned as an epicenter of wine production for more than 2,000 years, port wine production has been a constant economic and cultural driver since the 18th century. 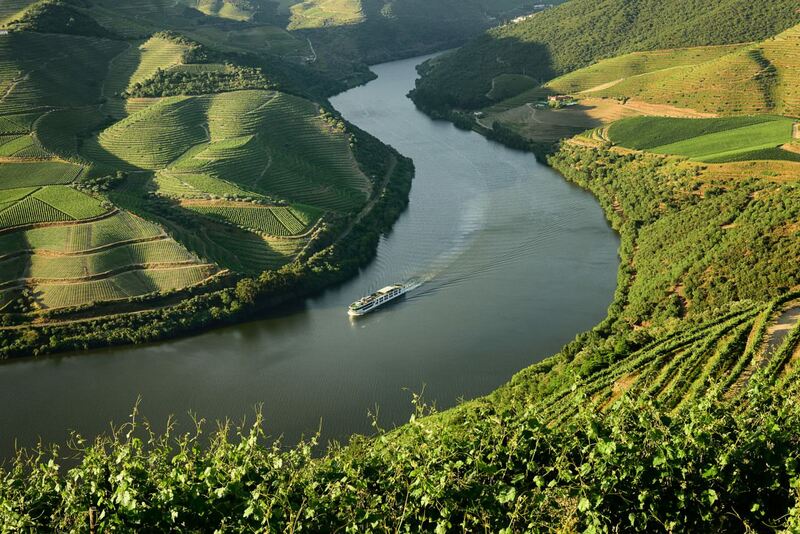 Today, Douro River cruises explore the cultural heritage of this region through tastings, tours and excursions designed to highlight the rich contributions of the Douro River Valley to Portugal, Spain and beyond. Operating from Porto, most Douro River cruises begin with a multi-day stay in the Portuguese capital of Lisbon. In addition to visits to noteworthy towns and wineries along the route, many of these itineraries also include an overland day excursion to nearby Salamanca, Spain, famous for its Universidad de Salamanca, or University of Salamanca, that was founded in the 12th century. Wine, Wine, Everywhere: For those who appreciate good wine, particularly port wine, a trip down the Douro is an excellent education, with plenty of tasting opportunities. More Time in Port: Because of the shorter distances on the Douro, ships spend more time docked in port compared to other European river cruise itineraries. This allows guests to better sample the nightlife, or take part in longer, overland journeys. Lots of Choice: Douro river cruising has evolved from being a niche river with only a handful of operators to a major destination with plenty of choice when it comes to which lines, ships and itineraries you want to take. Ease of Access: both Porto and Lisbon are easy destinations to fly to and from, with non-stop flights from numerous North American and European gateways. n/a n/a n/a n/a n/a n/a Save $500 air pp. Comparative fall 2018 pricing for river cruises sailing on the Douro River. Lead-in prices were obtained from cruise company websites and may not reflect current incentives. Additional charges were estimated in some cases, such as for laundry and beverages, and obtained from the cruise company websites. *Riviera offers beverage packages starting at $129 per person for most weeklong voyages that adds beer, wine and soft drinks with lunch and dinner. Beverages purchased outside of mealtimes are still billed separately, so we've added $80 ($10 per day) to our valuation for beverages to bring it alongside with lines like AmaWaterways and Viking, which offer complimentary beer, wine and soft drinks with lunch and dinner. For non-drinkers, however, this total can be subtracted from the True Per Diem amount.